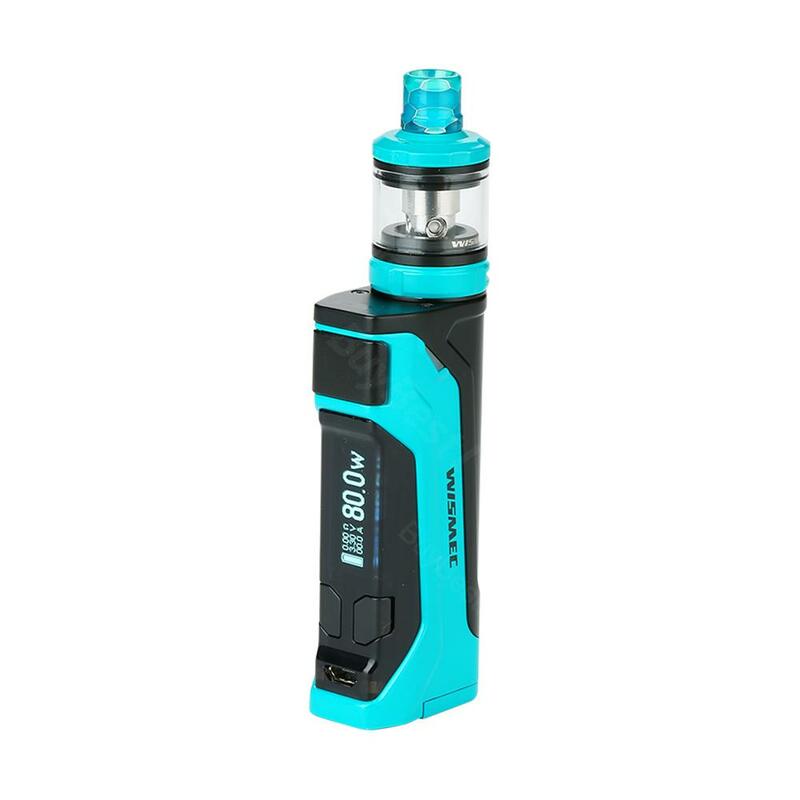 Wismec CB-80 Kit with Amor NS Pro Tank, which features 0.9-inch screen to display status of battery clearly, adopts single 18650 battery to fire up to 80W. 2ml capacity is convenient for you to take and new WS04 MTL 1.3ohm head will give you surprising flavor. Wismec CB-80 Kit with Amor NS Pro Tank, which features 0.9-inch screen to display status of battery clearly, adopts single 18650 battery to fore up to 80W. The retractable top cover design makes it easy to refill and bottom adjustable airflow offers different cloudsand flavor. 2ml capacity is convenient for you to take and new WS04 MTL 1.3ohm head will give you surprising flavor. You'll enjoy excellent vaping experience. • Three-month warranty for 80W Wismec CB-80 KIt and Amor NS Pro Tank . Funciona dpm llego en el tiempo indicado. I am a huge fan of wismec and this CB-80 kit is perfect for me whether in appearance or performance. The service is great, the shop owner is very nice, he always reply my message very quickly. The kit arrived very quickly. Give a good comment on the fast delivery. It's my first vape gear. The performance is good as my friends said. Hope it can help me get away from smoking. I love the compact size and comfortable touch feel of my wismec CB-80 kit. Works good, the flavor is amazing when using the 1.3ohm MTL coil.